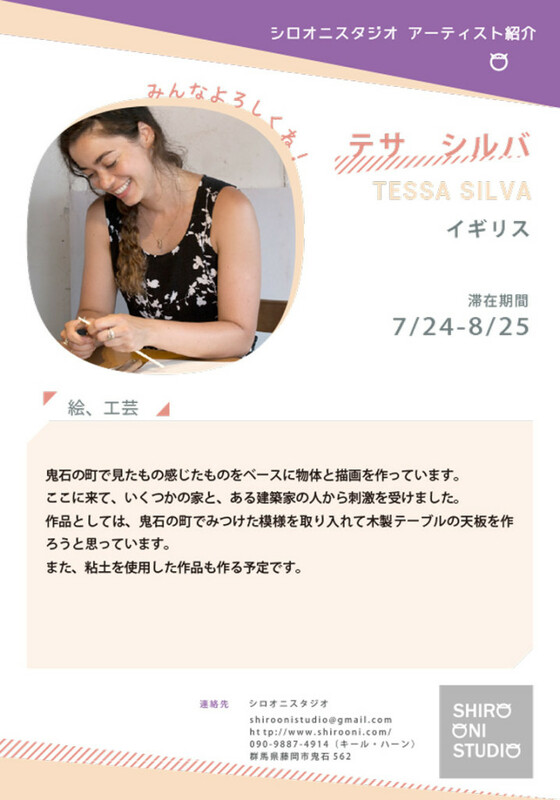 Tessa’s work focuses on visual representations of the old architecture in Onishi. Enchanted by the detail of the structures and the geometric patterns and layout of the woodwork, she has produced a series of drawings and prints, sculptures and objects. All the pieces have been made from locally available materials and salvaged or donated wood.